The Aarcher Institute is pleased to bring the Original Environmental Compliance Bootcamp back to Denver April 16-20, 2012. Thousands of students have benefited from this unique training, which allows attendees to immediately put into action practical strategies to improve environmental performance and ensure compliance. hits all of the high points in compliance. The Original Environmental Compliance Bootcamp™ is the Aarcher Institute’s most popular course because of its proven value to both those new to the environmental field and experienced professionals who want new perspective on the full range of environmental compliance requirements. This course is valuable for a wide range of professionals, including EH&S managers, environmental compliance specialists, other facility and site personnel with environmental and supply chain responsibilities, environmental consultants and engineers, as well as other professional office staff. The Institute’s Bootcamp course also addresses the current environmental legal framework, presented in an understandable format designed for non-lawyers. The environmental law overview provides context and background to support presentations on specific environmental requirements. Students gain a usable working knowledge of principle environmental laws and programs. Gain a more complete understanding of the environmental laws, regulations, and programs that affect your organization, how they relate to one another, and how they can be more effectively managed. This classic Institute course is updated and adapted regularly, to keep it fresh, topical, and relevant. 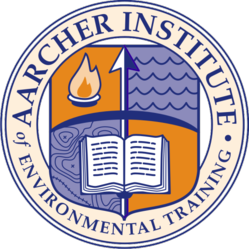 The Aarcher Institute of Environmental Training is an independently operated training institute supported by Aarcher, Inc. a well-respected environmental assessment, planning, and management firm.